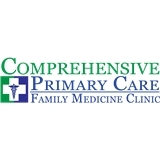 Comprehensive Primary Care (San Antonio) - Book Appointment Online! Please Note: ***We have a $25 cancellation fee for same day cancellations. ***Please provide your MEMBER ID or send a copy of your INSURANCE CARD at the time of booking an appointment. ***Appointment for ANNUAL PHYSICAL Exams generally involve FASTING SCREENING LABS. Comprehensive Primary Care opened its doors less than a year ago as a solo physician owned Family Medicine Practice. Our goal was to provide primary care to our community with a comprehensive approach: instead of addressing only one complaint, we take the time to look at the entire individual. Dr. Uzowulu incorporates his experience as a Hospitalist and Emergency Medicine physician in his practice, which allows him to care for a broad variety of acute and chronic medical conditions. Our main focus is preventive medicine: in the U.S. preventive care is readily available but woefully underutilized. Our goal is to encourage healthy living through preventive care and responsible lifestyle choices. "Prevention is the Best Cure"
Amazing visit. In and out in less than 30 minutes.